The Santa Barbara Wine Trail shows only those wineries that have production facilities within the city. The developement of the wine industry in Santa Barbara is relatively recent. The first winery, Santa Barbara Winery, was established in 1962 and the first vineyard in 1965. This was a time when wineries were closing not opening. 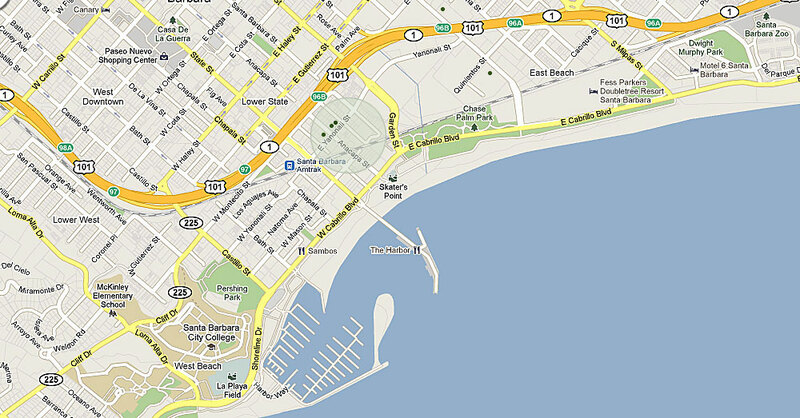 The shaded area is, roughly, what the city lovingly calls the Funk Zone. An area reserved for artists and artisans. 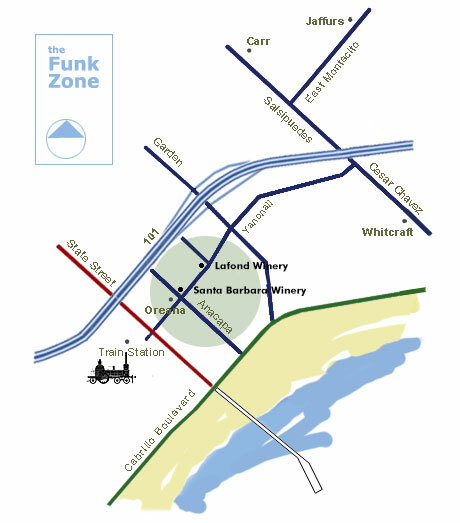 There are several Tasting Rooms in the Funk Zone, that are not shown on our map, all within easy walking distance.